Tranclucent and transparent, radiating warmth and stored energy. 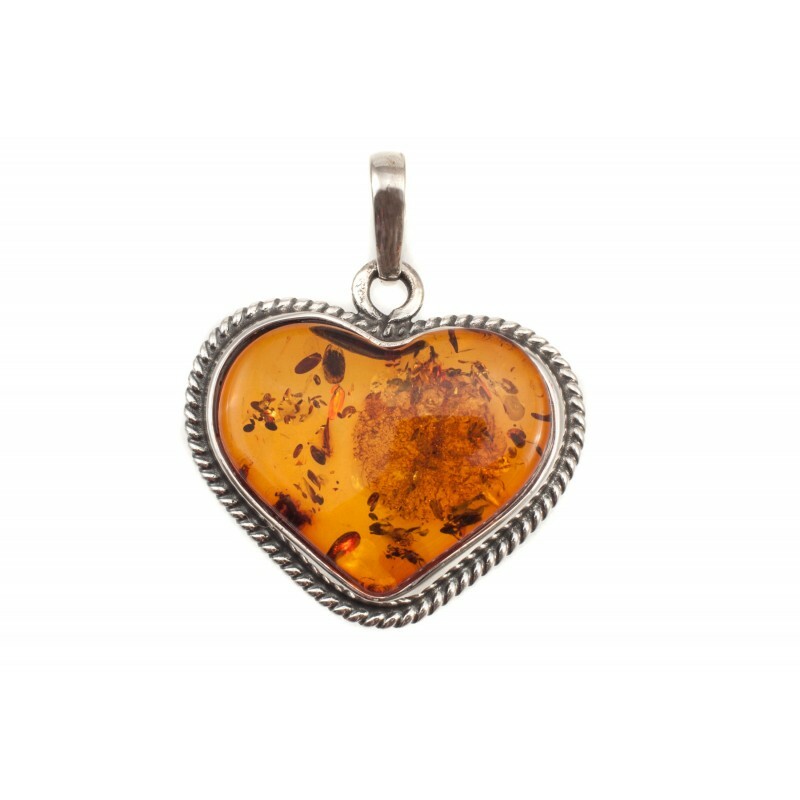 Cognac-color amber pendant-heart, wrapped in a burnished silver string. That is the talisman which symbolises vital power, the pursuit of knowledge and good luck revealing various secrets. Heart will prompt a solution for any situation, even the most complex situation. Does the trip waiting for the loved person cause anxiety? If a relative or a friend descends to the road, let one touch your heart. On the day of departure put the talisman in his/her hand and for a few minutes cover it by hour hand. Now no trouble of the road threatens your ward.